When you are experiencing raccoon problems around your property, we are the DNR licensed experts to trust for safe, efficient, and affordable raccoon removal and control. 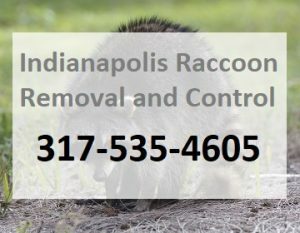 Here at IndianapolisRaccoonRemoval.com, our specialists retain the latest technologies and advanced equipment to diagnose and treat any raccoon infestation or problem a property owner may have, regardless of size or scope. We are highly trained and DNR (Department of Natural Resources) licensed wildlife abatement specialists who have specialized in raccoon removal for more than 30 years. This means we know exactly how these mammals operate, and can quickly identify signs of an infestation, or a colony’s whereabouts. When it comes to our methods, you can rest assure that we never harm or kill raccoons; instead, only use safe and humane techniques to implement our animal extraction and exclusion services. We accomplish this in many ways, including always making sure we avoid non-target animals, as well as, never using poisons, repellents, fatal devices, nor environmentally-damaging or toxic products to conduct our work. Our certified professionals adhere to all industry-accepted standards and best practices, as well as, operate within all local, state, and federal laws that govern wildlife. We simple trap or extract raccoons, apply preventative maintenance and animal-proofing strategies, and then clean up the mess they left behind. 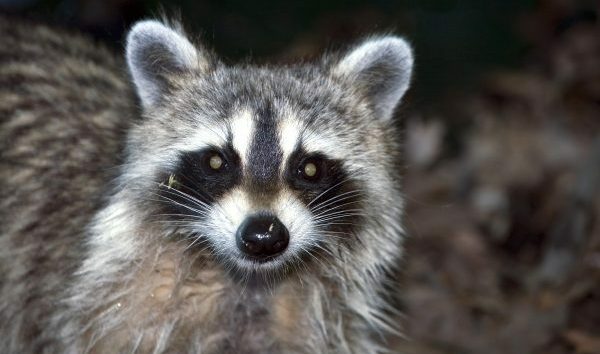 We provide a wide range of services on top of raccoon removal, including raccoon control, raccoon-proofing, raccoon clean-up, minor attic restorations, preventative maintenance, damage repair, odor removal, free estimates, emergency services, dead animal removal, 24 hour emergency service, integrated pest management solutions, abandoned animal rescue, post service checkups, and even free estimates and advice, and more! We also offer advice and knowledge on how to prevent nuisance animal problems in residential and commercial areas. When you need fast and effective Indianapolis raccoon removal, we are the professionals that offer the right solutions at the right price! Trust our professionals to provide punctual and effective raccoon removal services when you need them most. We always show up on-time, neatly dressed, and fully equipped to carry out services if need be. Consider an in-home inspection at the start of the spring to ensure your home is pest-free and free of vulnerable spots and openings that wild animals use to gain access inside. By fixing these problems now, you can prevent structural damages and messy raccoon infestations. Contact Us Today for Free Advice and More! Contact us at 317-535-4605 to learn more about our guidelines regarding insurance policy claims for raccoon damages in Indianapolis, Indiana. When you call our company, you can expect a prompt and friendly hello from a DNR licensed raccoon control contractor that will discuss your raccoon problems and set up a consultation time. Our wildlife control specialists retain the most up-to-date knowledge and training on raccoon control, as well as, remain fully equipped with all the latest technologies and resources for safe and humane raccoon extraction and exclusion. This entry was posted in Raccoon Removal and tagged 24 hour raccoon removal, cheap raccoon removal, indianapolis raccoon removal, Indianapolis Raccoon Removal and Control, raccoon removal company Indianapolis. Bookmark the permalink.